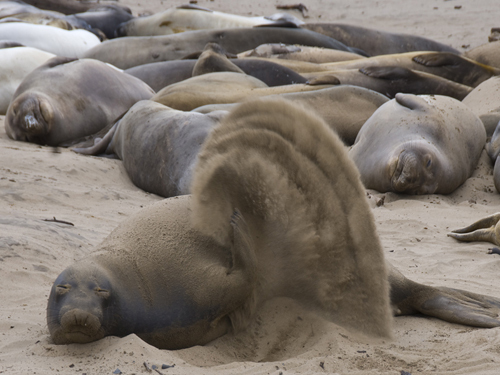 These Elephant Seals on the Pacific Coast are quite content to sleep in the warm sand. The seal in the foreground is flipping large amounts of sand into the air. Is this a natural sunblock?